BEIRUT, LEBANON (1:25 A.M.) – Intense fighting broke-out between pro-government Turkmen forces and Kurdish Peshmerga fighters in the Tuz Kharmatu area, tonight, amid growing tensions between the KRG regime and Iraqi government. 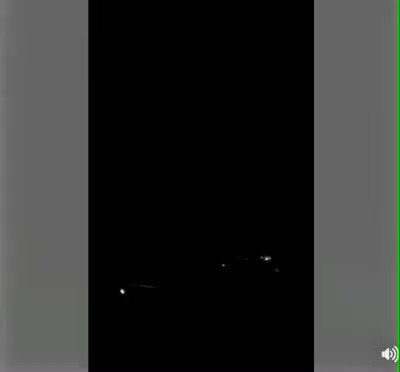 According to local reports, the Popular Mobilization Units (Hashd Al-Sha’abi) attacked the Peshmerga positions inside Tuz Kharmatu, resulting in a series of clashes in northern Iraq tonight. Tensions between Turkmen and Kurdish residents of Tuz Kharmatu have been at an all-time high after the recent Iraqi Kurdistan independence referendum, which saw the latter emancipate itself from Baghdad. On October 14, heave clashes between Kurdish Peshmerga forces and the Iraqi Popular Mobilization Units (PMU) broke out inside the Turkmen Shiite Tuz Khurmatu town 50km south of Kirkuk city, according to Iraqi sources. Initial reports claimed that Peshmerga units opened fire on the Dah Dah Hussainiya hall in al-Askari neighborhood of Tuz Khurmatu town. A Hussainiya is a hall used for Shiite commemoration ceremonies, and its considered by Shiites a holy place just like Mosques. Video shot seconds ago clashes continue in Tuz Khurmato between #Peshmerga and #PMU. Iraqi sources reported that local PMU fighters in Tuz Khurmatu town destroyed a vehicle of the Peshmerga during the clashes. In turn, Peshmerga shelled PMU positions inside the town with mortars.  Another video from inside Tuz Khurmato, clashes continue, civilians are getting involved now. Meanwhile, an official of the PMU confirmed to the Iraqi media that heavy clashes are ongoing around the Turuz hospital in the center of Tuz Khurmatu town. However, the official said that the clashes are with “unknown” gunmen. The situation in Tuz Khurmatu town is still not clear, especially that no officials of the Kurdistan Region Government (KRG) or the Iraqi Federal Government have commented on the ongoing clashes yet.